In deep fat fryer or heavy saucepan, heat 2 inches oil to 350°F. On lightly floured work surface, roll dough into ball and pat into 8x6-inch rectangle about 1/2 inch thick. Cut into 9 equal pieces using pizza cutter or knife. Fry 2 or 3 pieces of dough at a time in hot oil 2 to 3 minutes on each side, turning with slotted spoon, until deep golden brown. Remove with slotted spoon. Drain on paper towels. Sprinkle tops with powdered sugar, and serve warm. Make ‘em mini! 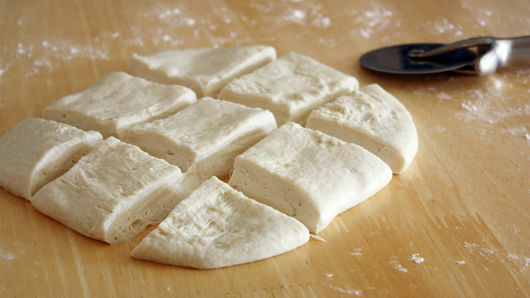 Cut dough into smaller pieces for bite-size beignets. Always wear an apron and long sleeves when working with hot oil, and use oven mitts while turning and removing dough to protect your hands. Basically a fancy name for a doughnut, beignets are pillowy-soft pieces of fried pastry dough covered in powdered sugar (the name literally translates from French to “fritter”). 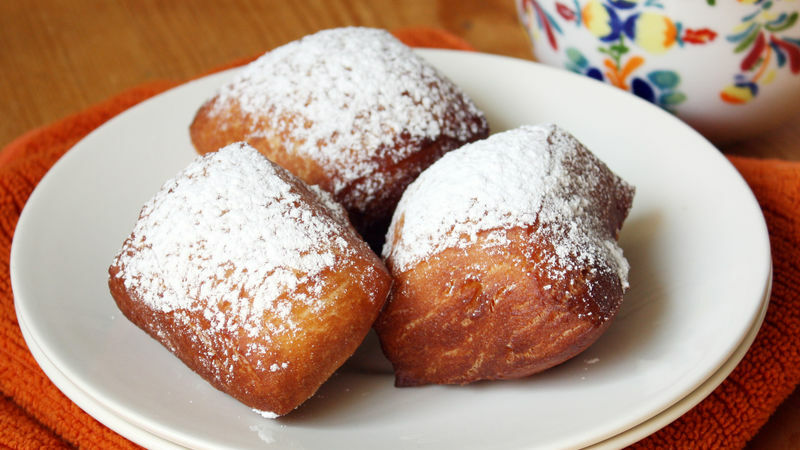 The official state doughnut of Louisiana, beignets were brought there by French settlers who migrated down from Canada. Nowadays, they are one of the most famous foods to try in the French Quarter of New Orleans, typically served with a small mug of café au lait. 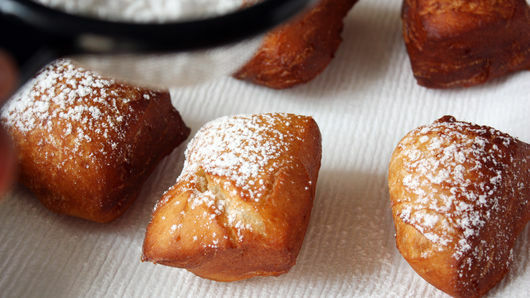 When we can’t make it down to New Orleans for some authentic beignets, we turn to this no-fail recipe. Traditional homemade beignets require lots of flour, active yeast, shortening and a handful of other ingredients, but our shortcut version needs just three! Plus, they’re ready to eat in just 20 minutes (lucky you!). If you haven’t figured it out already (where have you been?! ), we’ve got easy dessert shortcuts for just about every other sweet treat out there, too.